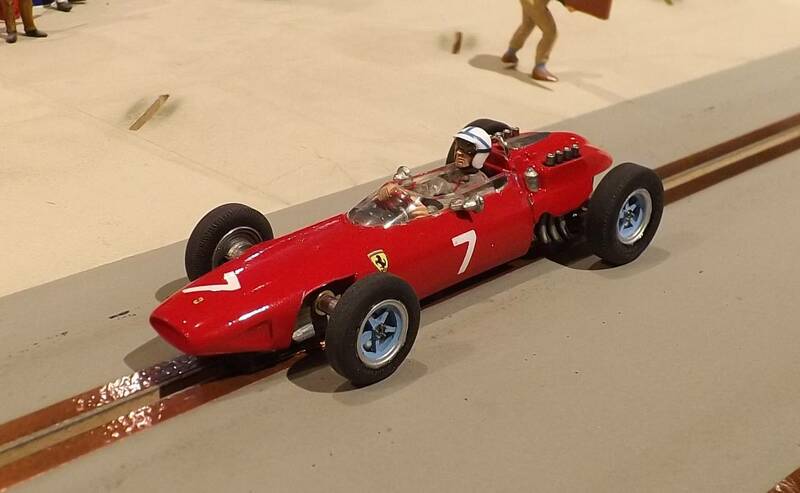 Two 1.5L models would debut at Ringwood XXII: MiA would present his #2 BRM P61 as raced by Graham HILL while the prancing horse factory would debut the #7 Ferrari 158 as raced by John SURTEES. 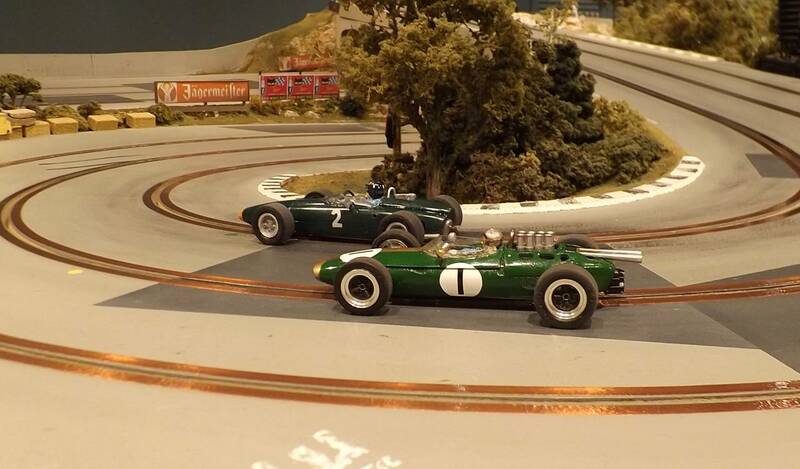 Both models were welcome additions to Ringwood XXII and the Scratch32 model database. BRM’s first attempt at the monocoque design, the P61 was not a true monocoque as a rear subframe was bolted to the front, monocoque half of the car and omitted a rear bulkhead between the driver and engine . 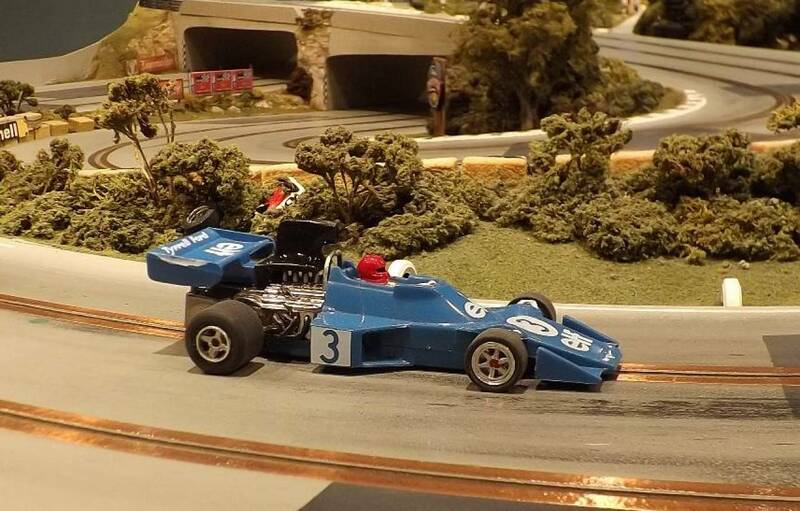 The car only competed in 2 Grands Prix. 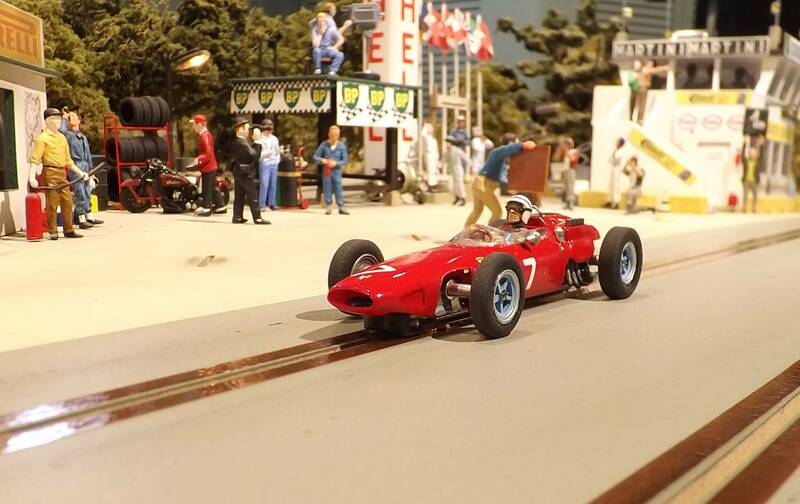 The P61’s debut came at the 1963 French Grand Prix at the hands of then champion Graham Hill. Hill who stalled at the start and was given a push-start, earning him a 60-second penalty/DSQ. 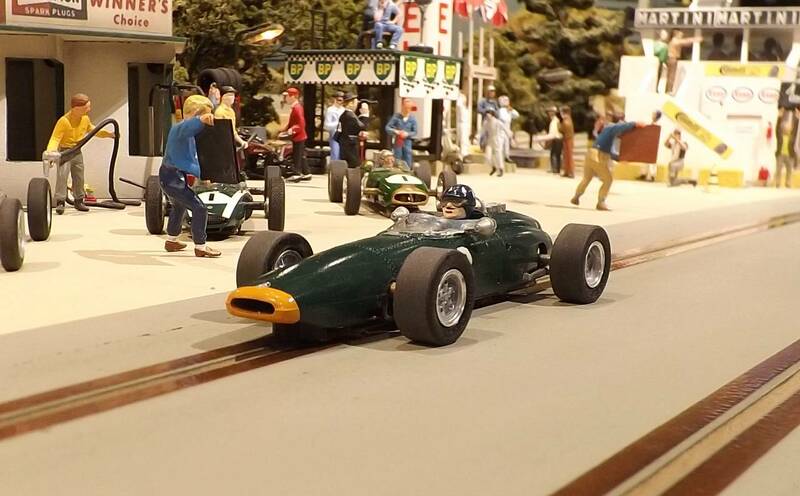 Hill would finish the race 3rd, 61 seconds ahead of Jack Brabham. 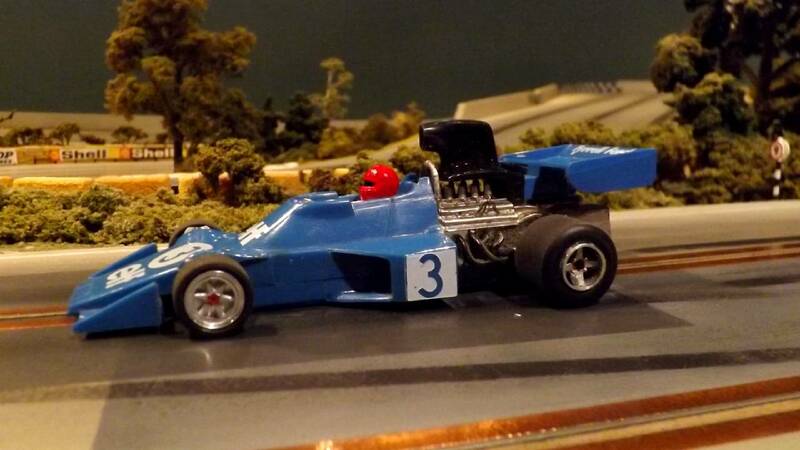 Although the result seemed promising, it immediately became apparent the car suffered from severe chassis flex without a bulkhead. The P61 would not return until Monza, where Hill would retire with clutch problems. Most of the seasons other races were contested in the earlier P57 car. The car was the basis for the 1964 P261, a true monocoque. 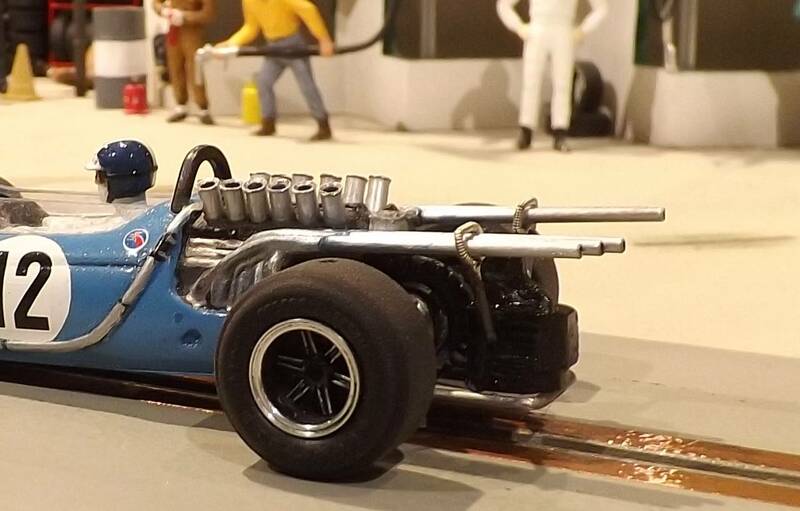 Model was built using an abandoned Supershells body with a variety of modified DArt Hobbies parts to resemble Hill’s 1963 low exhaust Reims car. 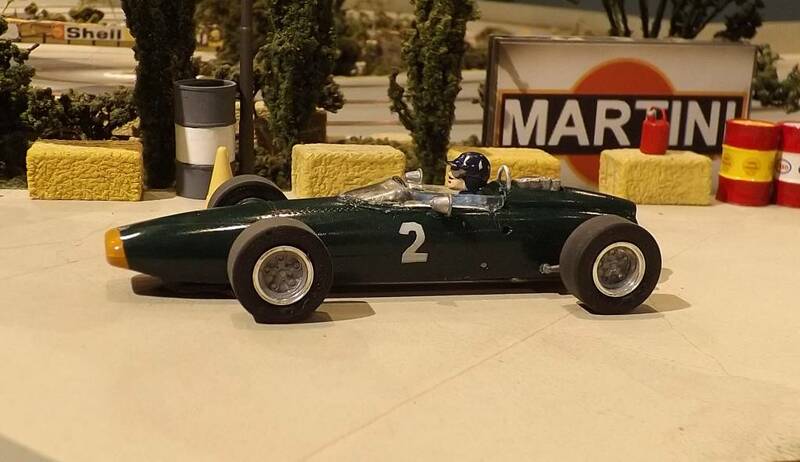 Model was built using a DArt repop based on a Monogram shell. 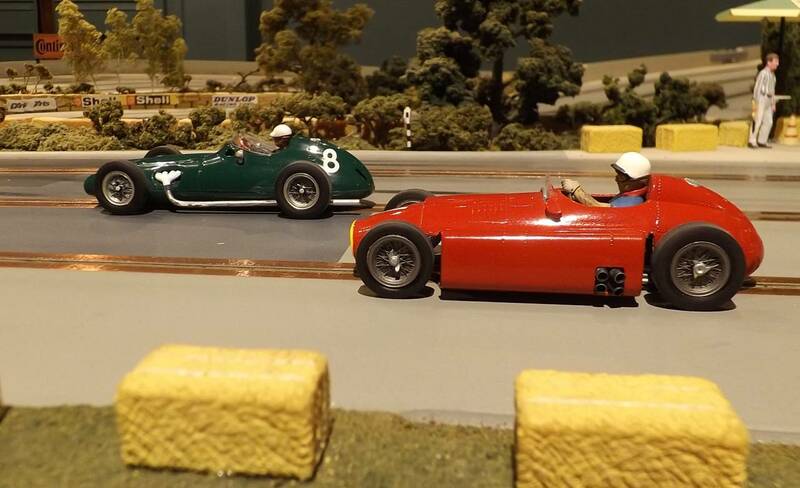 Ringwood XXII would soon be underway with returning entries for 1950’s Grand Prix. 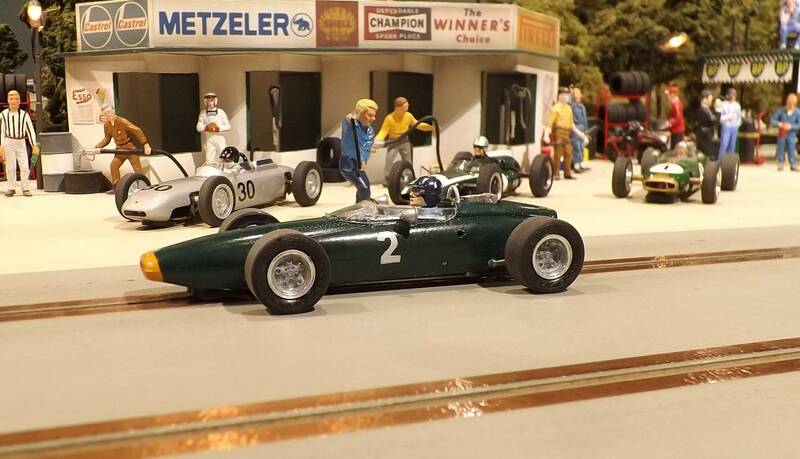 Harry Schell does his best to hold back a charging Fangio. 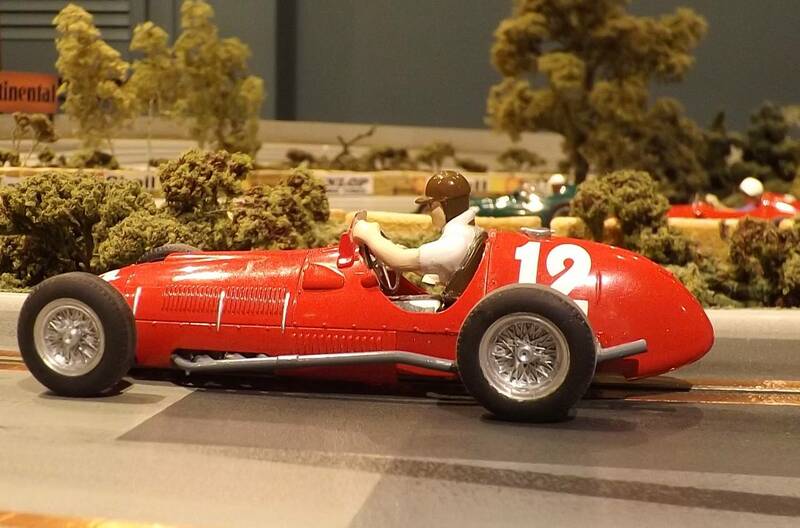 Gonzalez chases the others as he muscles his Ferrari 375 into turn 1. #12 – J.F. 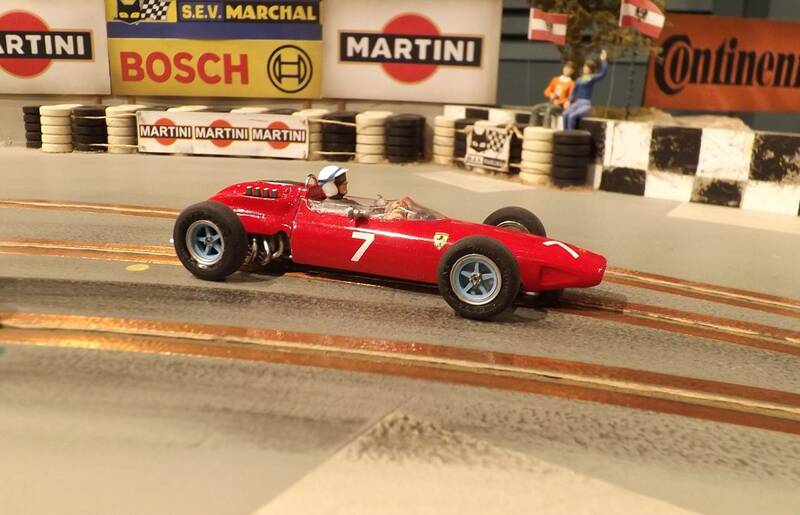 Gonzalez (Ferrari 375) 69 (12.236). 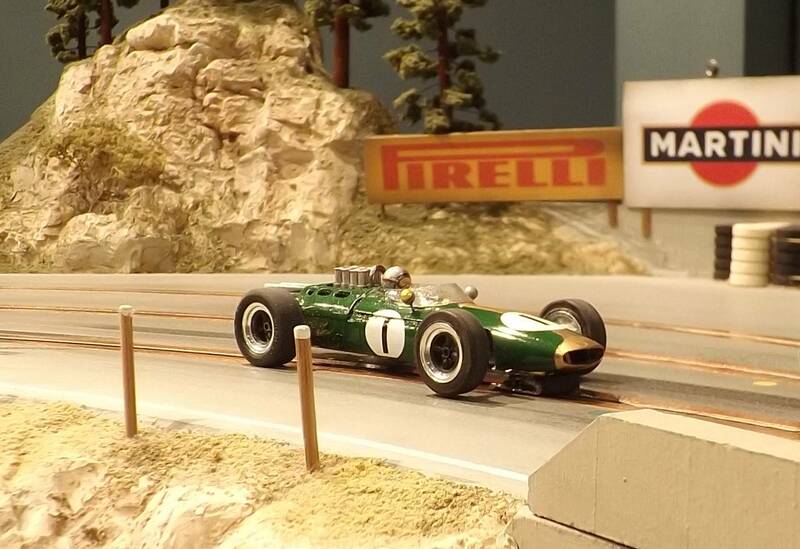 The leader followed into Adenau by the Brabham of Jack. 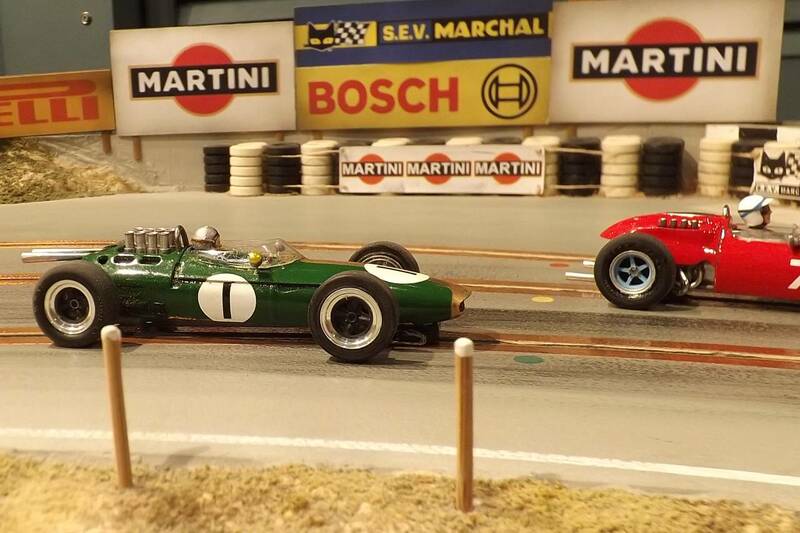 Nearing one third distance and while in the early lead Jack Brabham laps Hill. 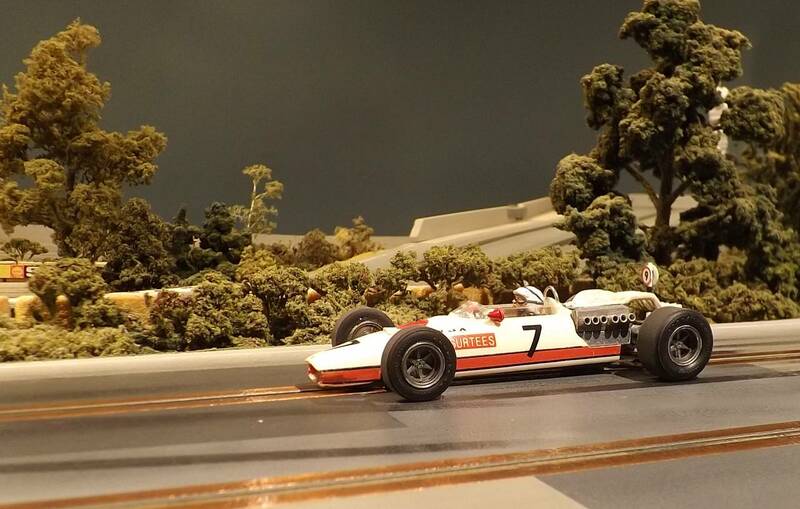 Gurney now chases Surtees for the lead. 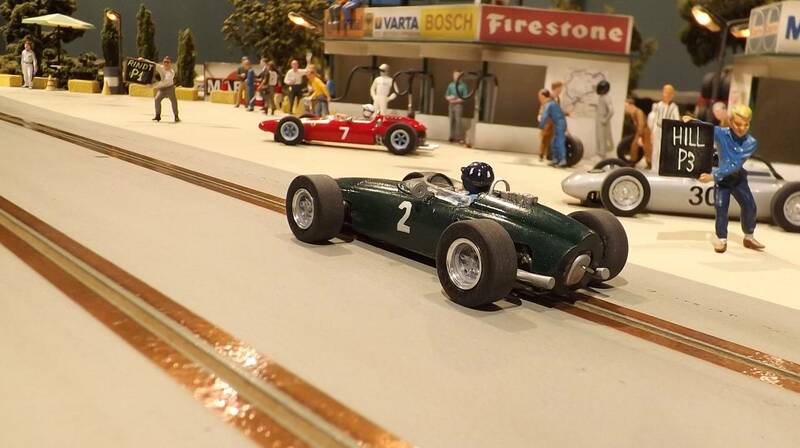 The Cooper of Brabham sits solidly in fourth place. 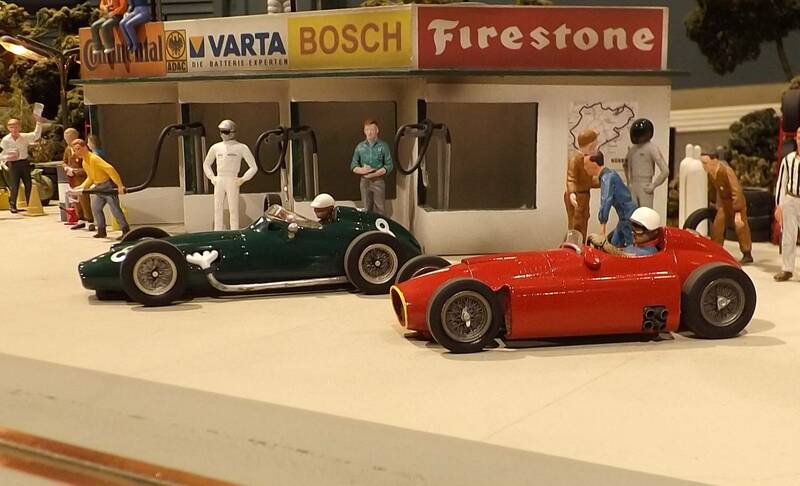 The debut of Hill’s BRM P61. 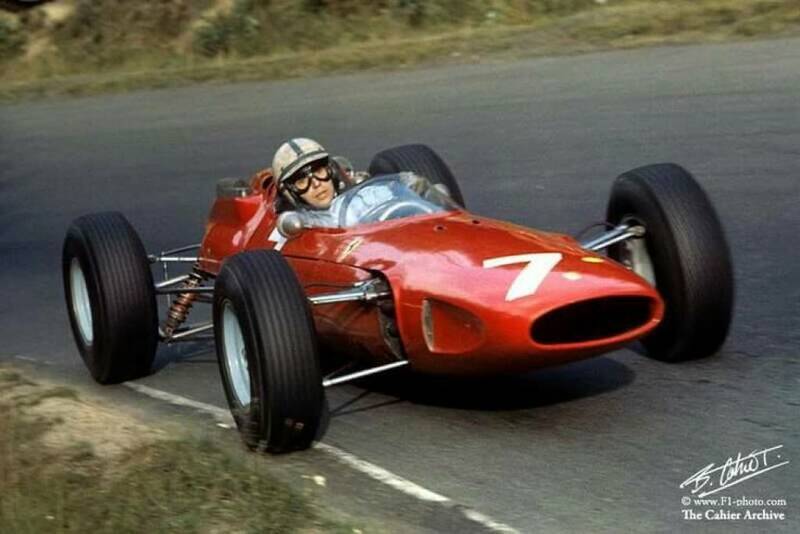 John Surtees would debut his #7 Ferrari 158 at Ringwood XXII. 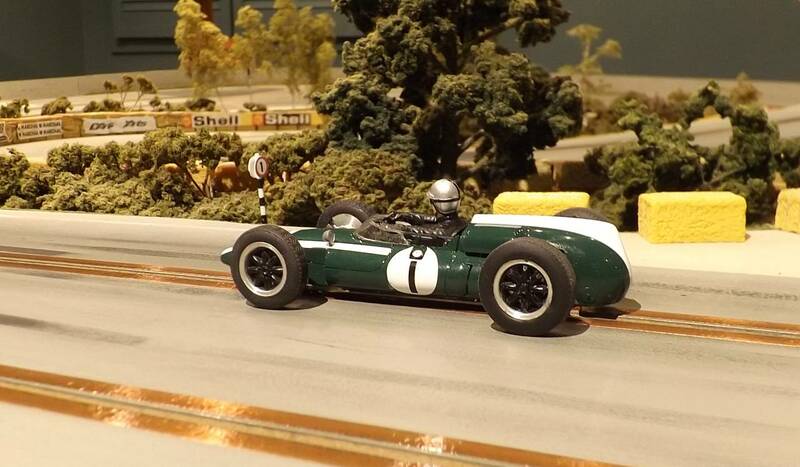 #1 – G. Hill (BRM P61) 69 (6.097). 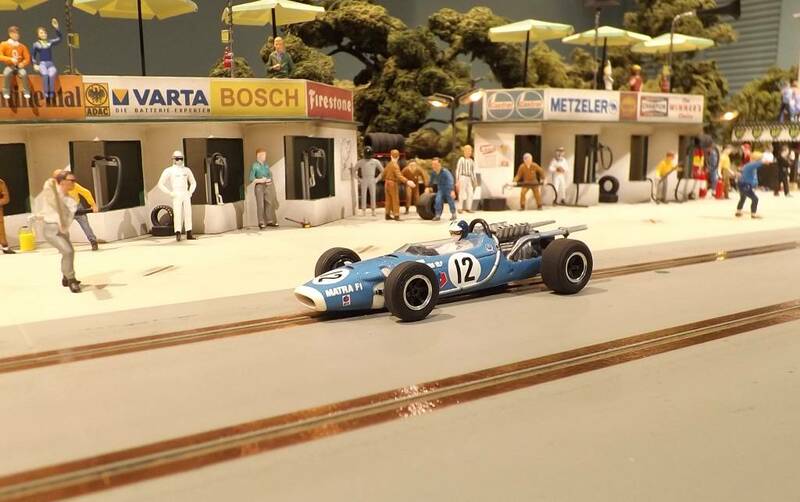 Beltoise passes Siffert to take second position. 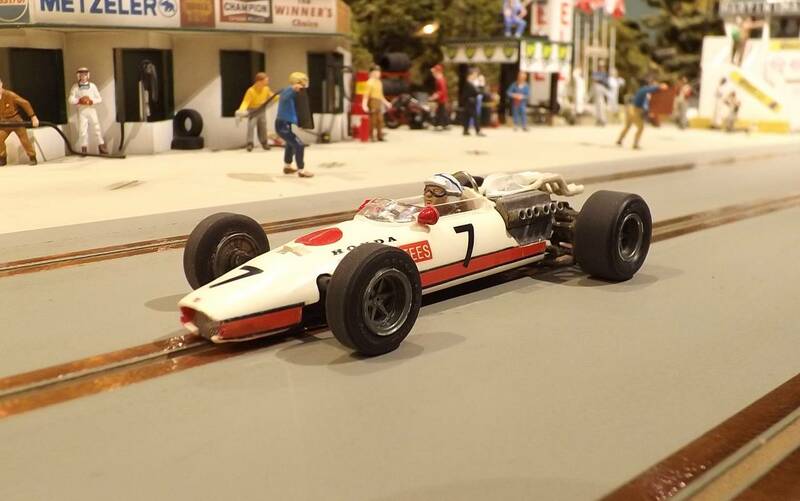 With the withdrawal of Ginther the lone Honda of John Surtees heads alone past the paddock. 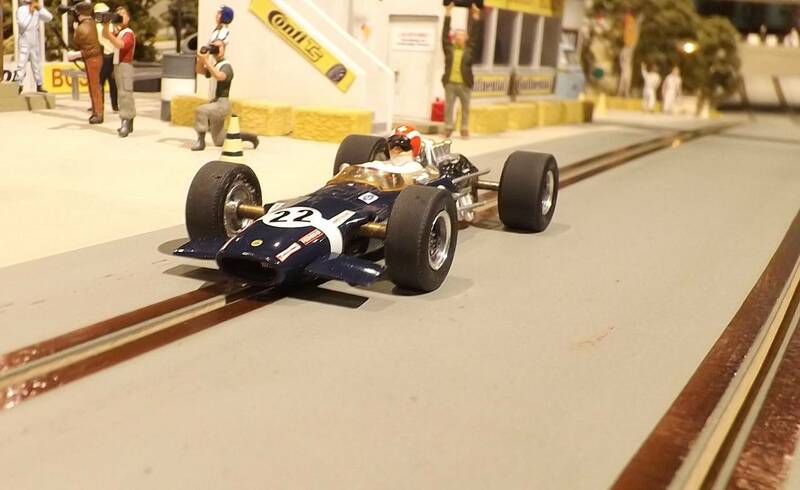 #22 – J. Siffert (Lotus 49B) 76 (8.713). 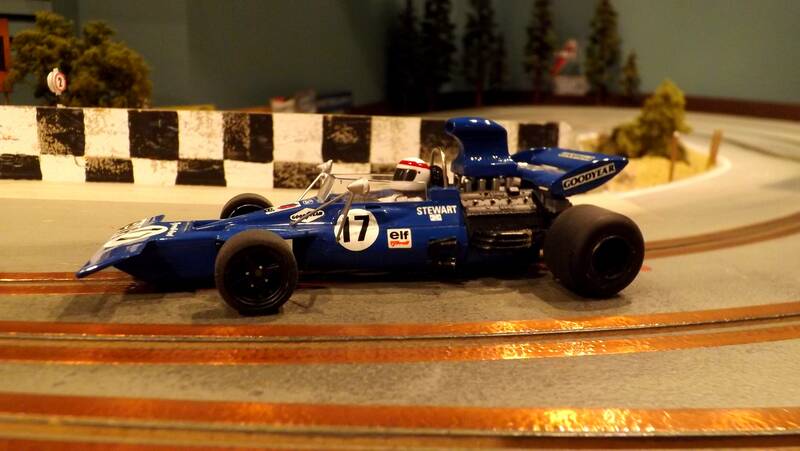 #3 – P. Depailler (Tyrrell 007) 77 (14.988). 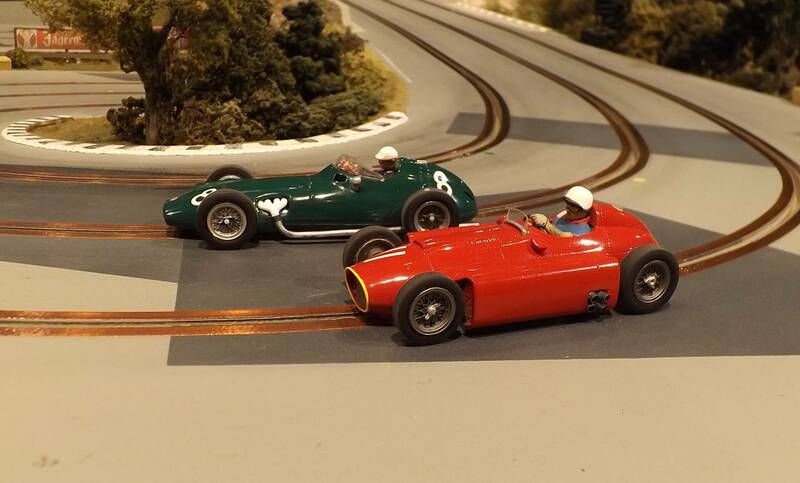 Ringwood XXII would soon be underway with returning entries for 1950's Grand Prix. Down the long front straight Fangio's Ferrari catches and laps Schell. 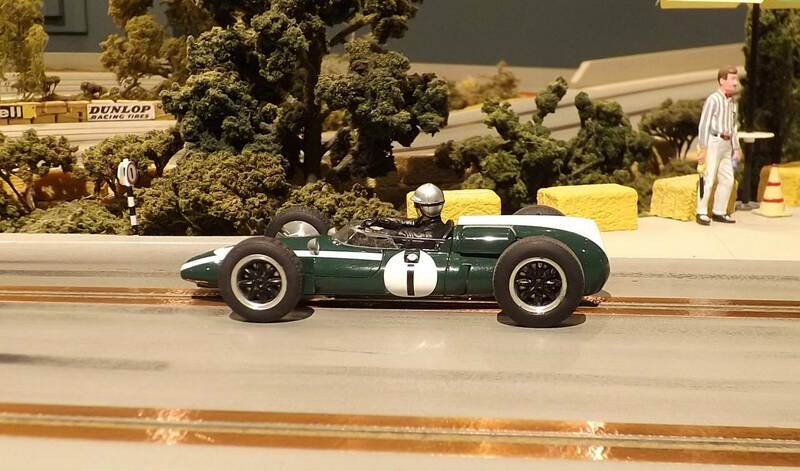 Graham Hill would debut his #2 BRM P61 at Ringwood XXII. Hill practices just prior to the start of the 1.5L class. 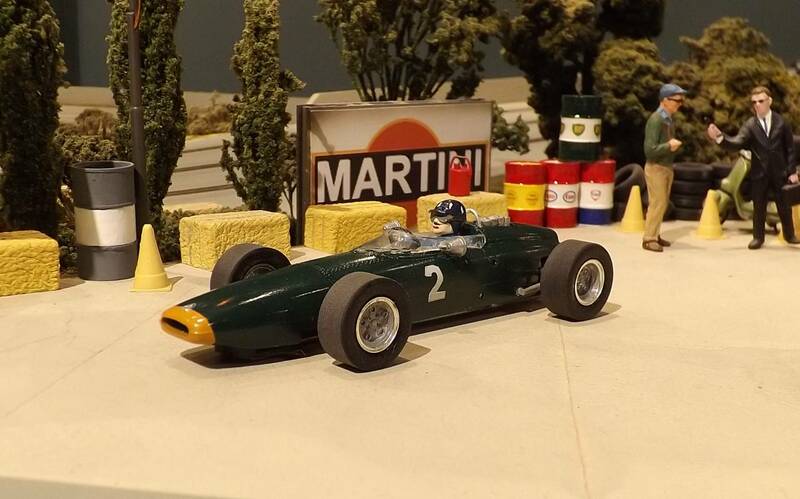 Times are good for the BRM in practice. Surtees is catching Jack as he slides his Ferrari over the Adenau bridge. 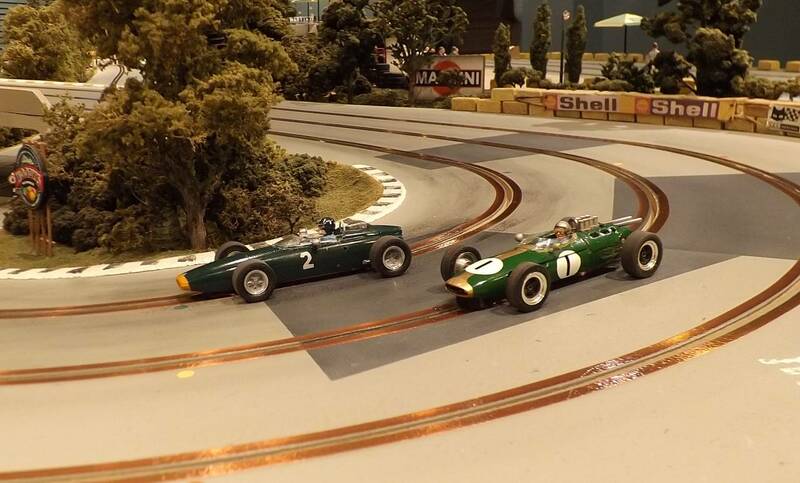 The lone Climax powered Cooper of Brabham chases Surtees and Gurney around turn 1. 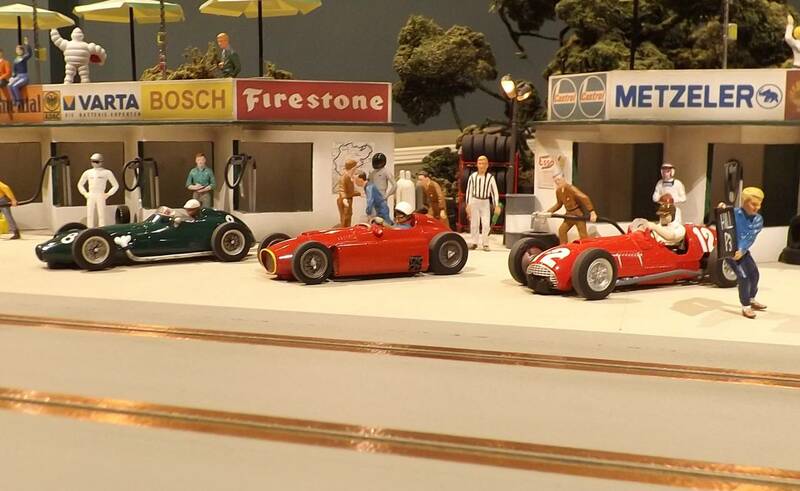 Hill is lapped for the second time by Brabham. Black Jack in third place approaching Adenau. 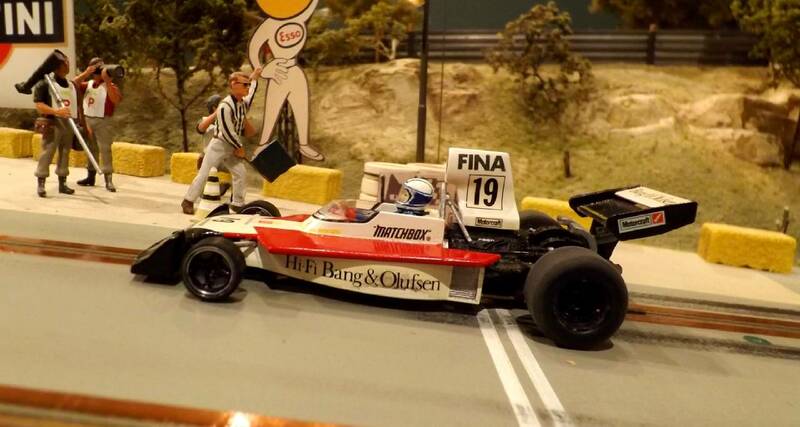 Nearing the end as Surtees checks his pit board. 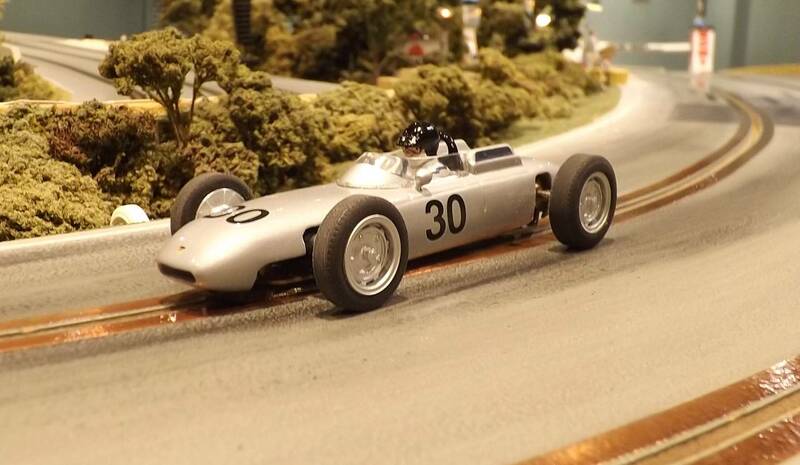 Dan Gurney makes a late charge in his Porsche 804. 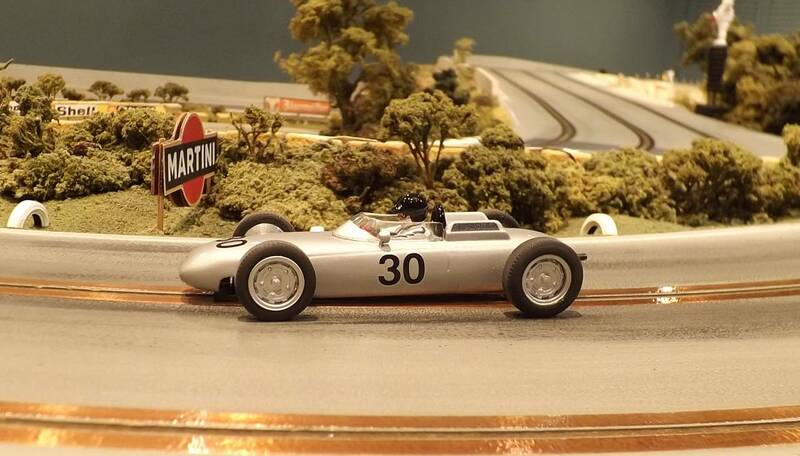 The debut of Hill's BRM P61. 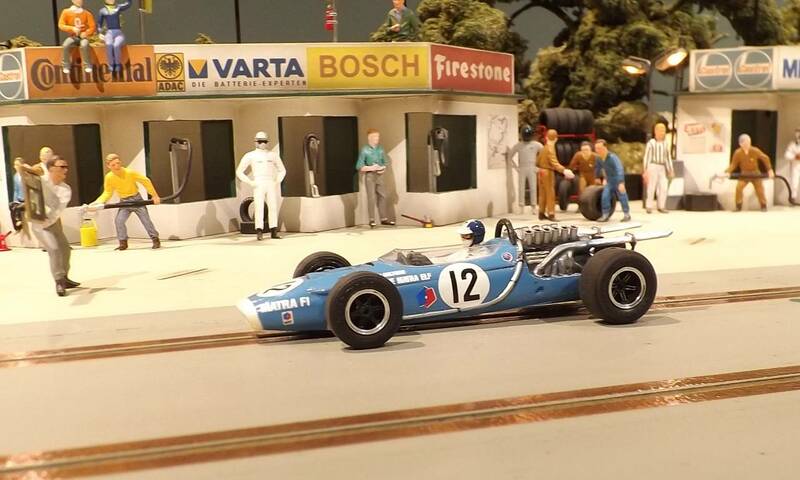 The Matra MS11 of J.P. Beltoise races past the paddock on lap 23 of 79. 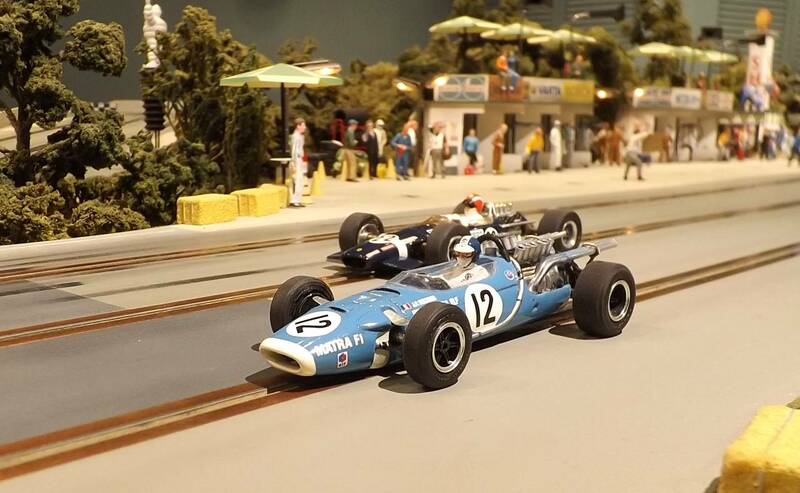 Siffert chases the Matra in his Lotus 49. 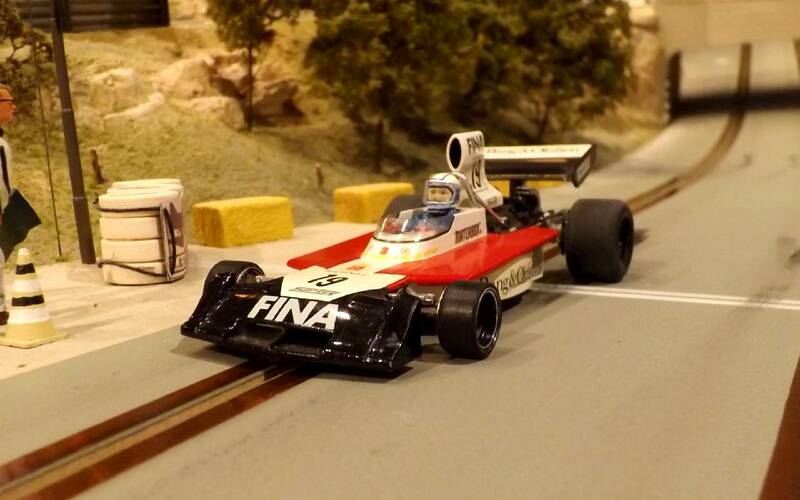 Surtees carefully brings his RA273 around the sweeping bend to start his final lap. 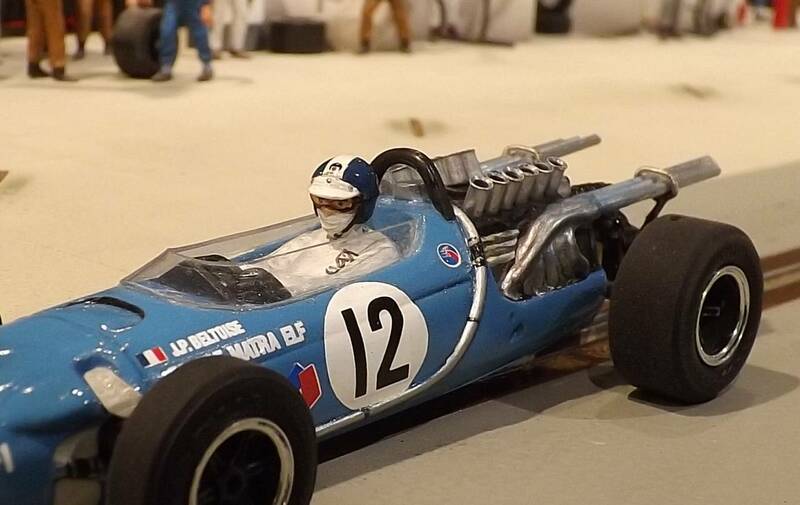 Beltoise brings his #12 Matra MS11 home in second place.